sustainable within the walls, and something worth defending. July 26, 2014 (Tony Cartalucci - ATN) - Thailand's culture, people, and history is directly tied to that of its indigenous, ancient institutions. For centuries these institutions have guided Thai society, protected it from a turbulent world beyond its borders and at times when this turbulence finds its way within Thailand's borders. For Thais, these institutions not only give the people cultural and sociopolitical underpinnings, but they give the people tangible, pragmatic guidance in building their communities stronger, closer, and better - and like healthy cells in a body - they create a nation that is likewise stronger, closer, and better. A strong, independent, self-sufficient Thailand has always been troublesome to history's various empires, both within Asia, and as far as Western Europe. Thailand has fought long and hard, but also cleverly, to maintain a balance among its potential enemies and weather the temporary inroads the "empire of the day" makes within Thai territory and culture, until that empire passes on - leaving Thailand to remain. VICE recently published an article by Andrew Marshall - a paid-propagandist who was previously an unreadable writer and senior staff member of Reuters - talking about an HBO comedian and his crass, disrespectful, but rather obscure comments about Thailand, its political crisis, and its royal family - a topic most Americans and Europeans are wholly ignorant of, have no opinion on, and frankly don't care about. Such an obscure article that no one without a deep knowledge of Thailand would even get, let alone read, is rather suspicious. Those that do read it will recognize the deceit and overt attempts to undermine the forces that just ousted Western-backed dictator, billionaire Thaksin Shinawatra and his political machine. VICE exposes itself as a "rag-for-rent," while HBO reveals its role in programming Western public opinion where otherwise it would never have formed on its own. Most Americans literally couldn't even find Thailand on a map, and if they tried they'd end up pointing at Taiwan. Empire has chosen once again to make inroads in Thailand, socially, politically, culturally, and economically. With Thaksin Shinawatra, it aimed at undermining and transforming the sociopolitical walls that have protected the nation for centuries from the inside. They have failed. Now their sociopolitical assault has taken the form of siege warfare - surrounding and battering the Kingdom with every weapon it can find - from discredited former Reuters staff, to magazines like VICE, to editorials and spun news items in mainstream sources like the Daily Mail, CNN and the BBC. 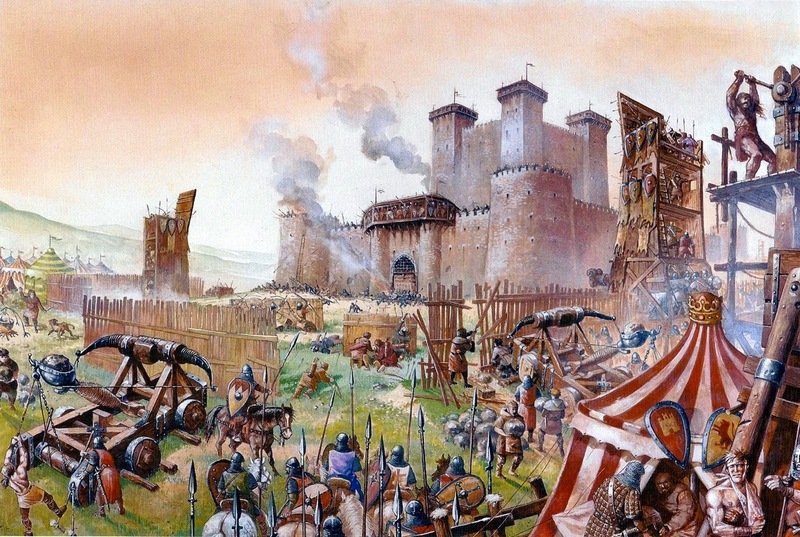 There are two methods to break a siege. One is to sally forth from the castle walls and confront the extensive, well dug-in defenses of the besiegers. This is usually a desperate tactic reserved when the other alternative fails, which is to simply wait within the walls until the besiegers exhaust their resources as disease and low morale overwhelm their ranks. To wait out besiegers, however, one must have an incredibly strong castle - and within its walls, the means to sustain its occupants perpetually. Self-sufficiency is the guiding principle of Thailand's current monarchy - self-sufficiency and sustainability not just against attackers, but against all uncertainties beyond the walls of the castle. It is not isolation, but rather simply possessing the means to secure ones future themselves no matter what the world beyond has in store. In this light, it would be wise not to waste time and energy trying to fight with someone like Marshall, in a rag like VICE, amid such an obscure, desperate, and ineffectual effort to undermine Thailand and its culture. Instead, work hard locally to build a living example of the values and principles the King has imparted upon Thais and let that example in action, shine out and blind these attacks made with mere words. Acting upon convictions rooted in Thai culture and based upon tangible pragmatism will build something of substance. Conversely, those attacking Thailand have nothing tangible or pragmatic underpinning their agenda, just hatred, jealousy, malice, and greed. They cannot take their words and turn them into action beyond transforming verbal abuse into physical abuse. Their vision for Thailand is one of legal disfigurement - legality being an intangible construct of the human mind, not a tangible concept like gardens, local clinics, makerspaces, farmers' markets, economic cooperatives and other forms of pragmatic localism. Fiercely independent and nationalistic, and being the only nation in Southeast Asia to avoid colonization, Thailand's sovereignty has been protected for over 800 years by its revered monarchy. The current dynasty, the House of Chakri, has reigned nearly as long as America has existed as a nation and the current king is regarded as the equivalent of a living "Founding Father." And just as it has for 800 years, the Thai Monarchy today provides the most provocative and meaningful answer to the threats facing the Kingdom. The answer of course is self-sufficiency. Self-sufficiency as a nation, as a province, as a community and as a household. This concept is enshrined in the Thai King's "New Theory" or "self-sufficiency economy" and mirrors similar efforts found throughout the world to break the back of the oppression and exploitation that results from an interdependent globalized system created by immense corporate-financier monopolies. Image: A vision of self-sufficiency in Thailand. Agrarian values and the self-reliance they engender are the hallmarks of real freedom. STEP 1: The foundation of the self-sufficiency economy is simply growing your own garden and providing yourself with your own food. This is portrayed on the back right-hand side of every 1,000 baht Thai banknote as a picture of a woman tending her garden. STEP 2: The next step is producing surplus that can be traded for income, which in turn can be used to purchase technology to further enhance your ability to sustain yourself and improve your lifestyle. This can be done individually, through agricultural cooperatives, or via farmers' markets. Image: The Thai 1000 baht banknote. Left is one of the many dams controlling floods and producing electricity throughout the Kingdom. Center is the current King of Thailand. 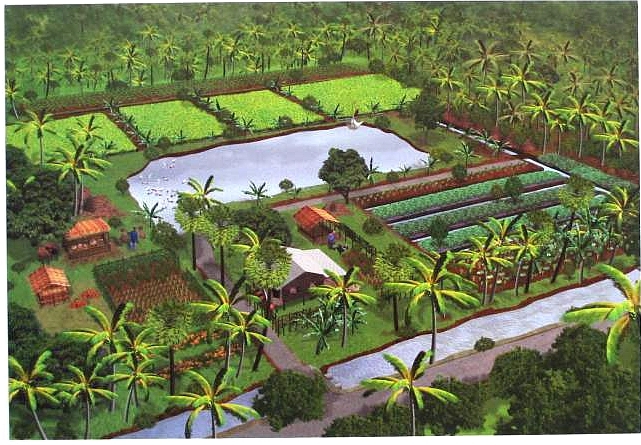 Right is a depiction of a local garden providing food in a self-sufficient manner. STEP 3: A third step is now possible - local technology cooperatives, sometimes called "hackerspaces," "makerspaces," or "Fab Labs" (fabrication laboratories created by MIT), offer a space where people can study, learn, teach, and work on technology for a variety of purposes. Everything from entrepreneurship and the founding of tech-driven SME's, to solving local problems and education can be accomplished with these cooperatives. Already in Bangkok, CITEC Hackerspace and Bangkok Makerspace provide pragmatic, well-equipped venues for doing this. Image: From top left going clockwise - Local Motors is an open source design and micromanufacturing enterprise that takes the highly centralized industry of car manufacturing and turns it local. Growing Power is an organic urban agricultural cooperative that improves local food security. Drones represent a big-business technology used for war, now being democratized and used by people for more pragmatic and constructive purposes. A hackerspace constitutes a new local institution where resources are available to educate, build, solve problems, and even start local businesses. Finally, locally produced fruits and vegetables at a farmers' market - as much a social endeavor as it is one of commerce. Together these local institutions and enterprises build strong, healthy communities that in turn, build a strong, healthy nation. With people providing themselves their own sustenance and earning income from diversified agricultural activity, the introduction of technology and the skills necessary to utilize it, can further expand economic activity into non-agricultural sectors. People with the knowledge, skills, and tools to physically shape the world around them, do not need to depend on others "elected" to do it for them. They do not need to gamble their lives and livelihoods on promises made by dubious politicians, but can take into their own hands their fate and fortunes, which would seem the very essence of true freedom. They would be able to build the world they wanted to live in tomorrow, with their own two hands beginning today - something that could not possibly be any more "democratic." Communities that build themselves up on pragmatic as well as cultural and historical tenants as described above, will have a sociopolitical-economic fortress so strong, those across foreign media conducting a siege of propaganda, will appear as insignificant as they wallow in the mud of the moat, beating on solid stone with their fists, their curses barely audible above the industry, commerce, and progress taking place within the walls. Thailand possesses a unique national identity that if taken from words and ideas, and put into practice, will build something of amazing substance. Those attacking Thailand possess only crass vitriol that can never materialize into something of substance - fate favors the Thai people, but only if they put into practice the ideals they are so eager to defend in words.